Ericsson is taking note of its own ConsumerLab feedback in optimizing its CDN for mobile video. A new generation of CDN technologies and services is being driven along by the gathering boom in mobile video consumption fuelled by larger smartphones and tablets in particular. This is leading to CDNs designed to meet the specific needs of mobile video services, which include catering for multiple device formats through repackaging and bypassing the limited backhaul infrastructure on many mobile networks by pre-pushing content to edge nodes closer to the users. This in turn is encouraging use of software defined CDNs that can be deployed readily on existing equipment such as routers, caching servers and also the radio towers in mobile cells. One example is the Jet-Stream CDN, which has been optimized for mobile in various ways, including support for the 3GPP RTSP streaming that is required for live video delivery to 3G compliant phones including Android devices, as well as HTTP adaptive streaming. The company now gives the software away free under licence to customers including other CDN vendors and service providers. This is also being pitched at emerging CDN brokers, which match requirements of customers such as content providers wanting to serve mobile devices with appropriate global capacity from the big commodity CDN providers such as Akamai, Limelight and Level 3. Mobile CDNs then do not necessarily require new capacity or infrastructure, but technology for tuning existing data transport capacity to meet the needs of mobile video services. Similar trends are evident in Ericsson’s Media Delivery Network (MDN), which has been optimized for OTT and especially mobile video services, again integrating with the existing major global CDNs. Ericsson considers transparent caching, supported in its MDN, as a game changer for mobile services by enabling real time control over rate of data flow through the network. It works by deploying cache storage at different parts of the CDN so that data can be held up at various points in response to real time feedback on traffic conditions. This streamlines the interaction between the CDN and the mobile network, avoiding glitches in video delivery that can affect QoS, or at least cause problems for the operator in their backhaul or radio access network. However there is a twist to the story, revealed in Ericsson’s own ConsumerLab report just released, which indicates that although mobile video is indeed set to explode over the next few years, most of it will be over Wi-Fi rather than cellular networks. Ericsson predicts that by 2018, mobile and portable devices will account for 57 per cent of all IP traffic, compared with 33 per cent in 2013. 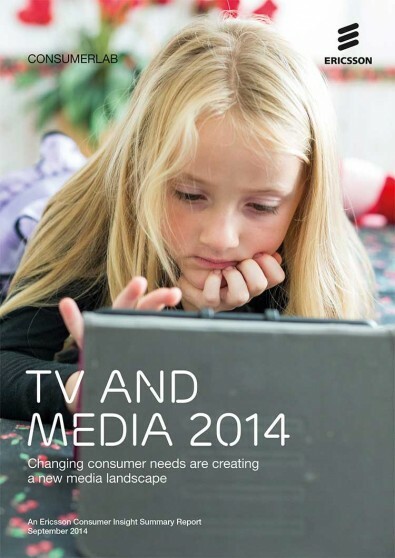 Of this traffic, Ericsson reckons 79 percent will be video by 2018, up from 66 percent in 2013. But the report predicts that by 2018 mobile networks will still only account for 12 per cent of all IP traffic, compared with 49 percent for Wi-Fi and 39 per cent for direct fixed line connections. This does represent a swing towards mobile but from a low base. In 2013, Wi-Fi stood at 41 percent, fixed 56 percent and cellular just 3 percent, measured by IP traffic levels. This means that while dedicated mobile CDN services will become more important, content providers and broadcasters will still need to cater more for fixed line delivery. After all Wi-Fi is essentially fixed broadband with wireless merely providing the last hop to the user, which means that hot spots do not need to be served by a mobile CDN, although there will still be a need to cater for the different device formats. Indeed with mobile operators increasingly offloading data, especially video, to fixed broadband networks via Wi-Fi, there will be a growing need for integrated and flexible CDNs that can cater for all requirements within heterogeneous networks (HetNets). Such networks will effectively be recruiting fixed broadband capacity as backhaul for mobile operators, while requiring CDNs that can cater for the needs of both. So by 2018 we will be seeing deepening convergence between Wi-Fi and 4G/LTE cellular as complementary access technologies, with decisions over which one to use depending on a combination of traffic levels on each, the operator’s business rules and the requirements of a particular service such as OTT video. The mobile industry is already looking at integrating Wi-Fi RANs (Radio Access Networks) into its packet core alongside 3G/4G/LTE. By the time the next generation 5G technology comes along it could be that Wi-Fi has been fully integrated as a complementary access technology. Then we would no longer be talking about HetNets but just plain mobile networks once again. It is worth considering though that with video being the principal driver of mobile data growth, CDNs dedicated to wireless delivery will be geared as much to the QoS requirements of video traffic allied to the end device display and playback characteristics, as to the transmission characteristics of RANs. Future CDNs will in any case be fully software configurable and not be dedicated at the physical level to any particular access or backhaul technology.